Addressing its reputed character, we get the impression that every earnest instructor tries a different approach to proclaim Tai Chi as a martial art. Considering those instructors who do try and make the point feasible, the spectrum of possible arguments is endless. For instance, one common example has the instructor picking a bystander on whom to demonstrate sample mayhem: Single Whip throws the student back ten feet; Fist under Elbow twists his arm, coupled with a surreptitious punch; Snake Creeps Down leaves the recipient on the ground, hammered to the roots, so to speak. My problem with this approach is that students are shown that Tai Chi is a martial art, but are not taught how Tai Chi is a martial art. I often wonder�even for those believing in the efficacy of Tai Chi�how they believe they can reap the art’s benefits without actually attempting some level of execution, even without a partner? I�ve seen these varying examples of belief, but sadly few convincing explanations. The polite students stand in a semi-circle, nod their heads then go back to their familiar mistakes without being better for the knowing. This lack does not just produce sadness; it also does a disservice to any person pursuing Tai Chi, because without truly grokking its martial underpinnings, you cannot get good at Tai Chi. To hit the target we must see the target and allow all the space between target and arrow tip be connected as though stuck together by a single spider�s web. From many hours of practice the intention of the intention (I feel myself aiming) reduces just to pure, simple-minded intention, the strand of� thought. Drawing the bow, you put energy into the system only to call it back when dispatching the arrow. Before the Draw you are in silence. Drawing, everything is alive. Pulling the string stores until the Draw stops, complete. When releasing, everything will be alive. Issuing is only a moment, but drawing can seem a lifetime. You are frozen, watching a wolf from cover, remaining un-moving while the wolf settles his perimeter. 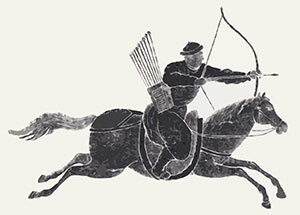 �After you shoot the arrow you must bring back the energy, shape and intent of a moment ago. This drinking partner will not let you sit down and abstain. He wants to go from one bawdy song to another without� interruption. Releasing is a whole-body act. The vessel that holds your arrows is known as a �quiver,� that word almost echoing the feeling of what happens to you when the arrow shaft is released. This is that crucial moment when the runner bends over,� hands on knees,� just waiting until he recovers. To my mind, every individual movement in Tai Chi unfolds in this manner. The most intriguing aspect from a martial standpoint is Drawing, where you create potential energy that will allow release. This is the same path for Tai Chi. The work is done in the Draw; the release�the punch, for instance�is effortless.� A surprisingly modern approach to exercise, this is perfect because the teaching of the internal and external skills fits each person like a tailored coat. When performed correctly, every move is a perfect reflection of the person practicing. Releasing the string you hear a muffled twang of the string, a slapping slice along the left arm. Sometimes, without looking, you know if you have hit the target or not. How can Tai Chi or any martial practice not benefit from this careful observation? Posted July 20, 2018 by Ted Mancuso. Comments are closed on this post, but you can trackback. 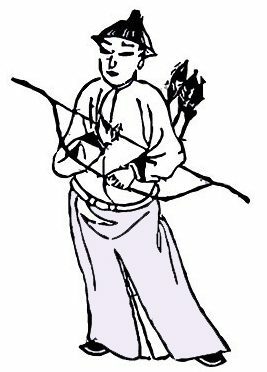 Tagged with: archery Chinese archery, Fa Jin, Hsu Chi, martial teachers, tai chi, Taijiquan. Well-said indeed and the only thing I would add, from my experience both learning and teaching taiji, is the tendency for some teachers to think “bow” and to conceptualize it as a long, smooth, English longbow as opposed to a relatively short and recurved, composite as you would find in Chinese bows and crossbow. 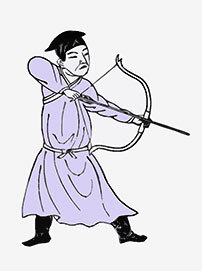 It does make a difference when discussing and demonstrating abstract concepts as those who aren’t familiar with the culture [of the history of bows, for that matter] tend to think in terms of straight lines when spreading their arms out to the sides to illustrate their talk on making a bow with the arms and upper body. 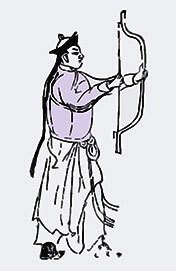 The Chinese bow was bent whether strung or unstrung whereas the western bow was [until recent decades] a sophisticated stick until it was strung and became a curve. 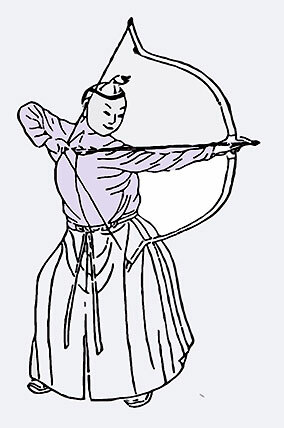 If your teacher tells you that “making a bow” with your arms is like storing energy in a bow and your arms are too straight; you haven’t quite got the original idea in taiji terms. Absolutely. And this brings in things like ‘re-curve’ and some of the incredible distances racked up by Turkish bows. You saw this a little differently and added some dimension to the idea.